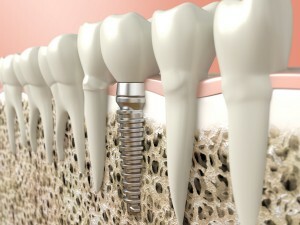 We here at Precision Dentistry and Implants welcome you to our dental implants infosite. 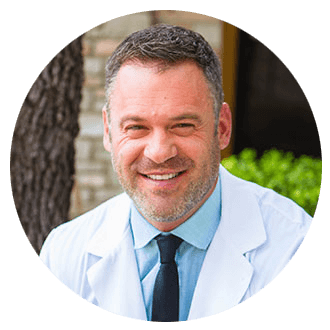 This site exists so that Hill Country, TX area patients are able to learn everything they can about our practice, Dr. Matthew Huff, and treatment with dental implants. With dental implants, we are able to provide quality tooth restorations that provide the same comfort and stability as natural teeth, and they can have you sporting a complete and functional smile once again. Say goodbye to the gaps in your smile by visiting our Kerrville or Fredericksburg office and consulting with Dr. Huff today. The reason we recommend dental implants to patients with missing teeth is the fact that this restoration treatment can provide beautiful, natural-working replacement teeth that can prevent your mouth from being overtaken by dangerous oral conditions such as gum disease and gum disease. Because treatments like dentures and dental bridges only cover up your missing teeth, they are unable to prevent your jawbone and gum structures deteriorating. When these structures weaken, your teeth (including replacements) are unable to bite as strongly as they once could. Dental implants are the only treatment for missing teeth currently available that can ensure that these structures stay strong and healthy. Dr. Huff has been placing and restoring dental implants for many years now. Over this time, he has gained a level of experience and knowledge that allows him to ensure his patients receive only the best results possible. Dr. Huff also goes out of his way to attend any and all continuing education courses that come his way. By taking these classes, Dr. Huff can guarantee that he provides the best possible implant treatments with only the most up-to-date techniques available. All of this he does in the hopes of giving his patients the best chance of implant success possible. If you are considering treating your missing teeth using dental implants, then we urge you to consider one of our Hill Country area offices for your one stop implant destination. When you come to our office, you can rest assured that you will not need to go anywhere else for any portion of your treatment, as we perform every part of the process in-house. If you would like to learn more about dental implants and how they can revitalize your ailing smile, contact our office and schedule a no-obligation consultation with Dr. Matthew Huff today. Dental implants are only possible thanks to a process called osseointegration. Thanks to this process, your implants will fuse to your jawbone. If you drink too much alcohol, then your teeth could end up being damaged to the point where they will need to be extracted. Coke can actually eat away at your teeth, increasing your chances of developing tooth decay. If you have to have your teeth extracted due to coke consumption, then you may benefit from treatment with dental implants. "Since 2014, I have been a senior patient, a high anxiety patient, of Dr. Matthew Huff at Precision Dentistry and Implants. After a thorough exam of my teeth, Dr. Huff designed a four-year plan to crown teeth with old filings which had begun to crack, in addition to some evidence of periodontal disease. That was four years ago. During the last procedure, while under a mild sedation for anxiety, I stopped breathing due an unidentified issue called sleep apnea. This is a relatively new concern for up-to-date dentists who study the issues that affect the overall health of the whole person with procedures to alert patients of this condition. Because of my complete trust in Dr. Huff and appreciation for all dental work completed to date, I agreed to participate in a simple test to assess the potential for sleep apnea. After recording two nights of sleep at home to confirm his concerns, Dr. Huff recommended a dental appliance to be worn at night in addition to seeking sleep disorder tests prescribed by my primary care physician to determine a complete diagnosis. I followed his advice and now use this appliance, similar to a mouth guard, faithfully every night. Oh my, what a difference! Sleeping through the night and feeling fresh each morning is a blessing and has improved my quality of life in many ways. Researching the overall importance of treating sleep apnea informed me that sleep apnea has many very negative effects on the body, the heart especially. I am so grateful for Dr. Huff's holistic approach to dentistry and concern for my overall well-being."